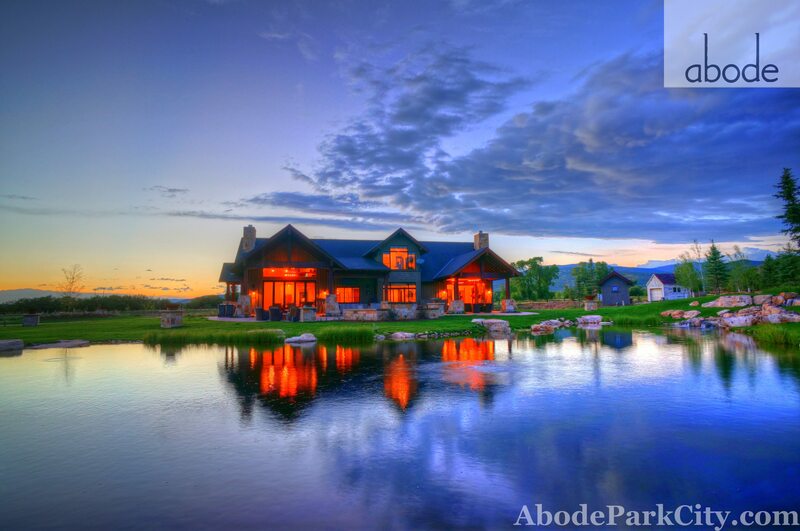 Surrounded by the spectacular scenery of the High Uinta Mountains, Abode at Twilight Moon Ranch is a perfect retreat. The secluded ranch occupies 16 acres of horse pasture with a trout-filled natural fishing lake just a half-mile from the Weber River—an acclaimed fly-fishing destination. The 8,500-square-foot mountain contemporary home was designed by renowned architect Michael Upwall. It features seven bedrooms—with beds for up to 22 people—a gourmet kitchen with Viking appliances, game room, sports bar, and a huge great room with an 18-foot-tall stone fireplace. Outside you’ll find a 12-person hot tub, Viking barbecue grill, covered dining area, fire pit, and more. With room to roam and play, the ranch is a perfect spot for a large family or corporate getaway.